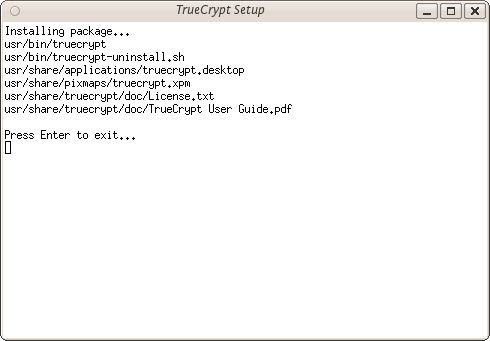 The following gives complete detail on how to install TrueCrypt on your computer for each of these Operating Systems, starting with Ubuntu. 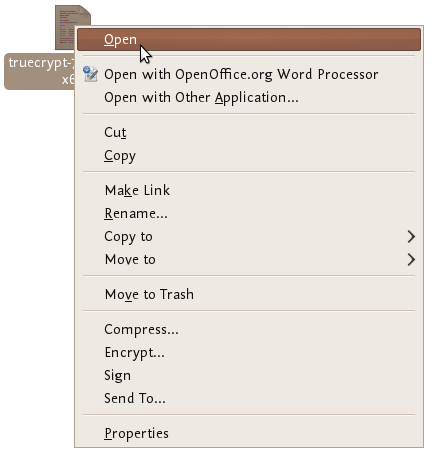 TrueCrypt is not available in the standard Ubuntu repositories. This means you cannot use the Ubuntu Software Center or apt-get (a command line method for installing software on Ubuntu) to install it. 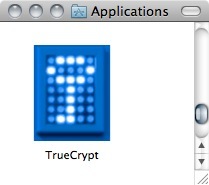 Instead you must first visit the TrueCrypt downloads page (http://www.truecrypt.org/downloads). You will see a drop-down menu under the heading Linux. This is a little technical - the console version is the one you choose if you are either very technical and don't like Graphical User Interfaces or you wish to run this on a machine that you have only a terminal (command line or 'shell') access to (like a remote server for example). The output will be something like 'Linux bigsy 2.6.32-30-generic #59-Ubuntu SMP Tue Mar 1 21:30:46 UTC 2011 x86_64 GNU/Linux'. In this instance you can see the architecture is 64-bit ('x86_64'). In this example I would choose the 'Standard - 64-bit (x64)' option. If you see 'i686' somewhere in the output of the uname command then you would choose the other standard option to download. Once selected press the 'download' button and save the file to somewhere on your computer. So the installation process is still not over. The file you downloaded is a compressed file (to make downloading it is faster) and you need to first de-compress the file before you install it. Fortunately Ubuntu makes this easy - simply browse to the file on your computer and right click on it and choose 'Extract Here'. Believe it or now your are done...TrueCrypt is installed and you can access it from the Applications->accessories menu...close the setup window. 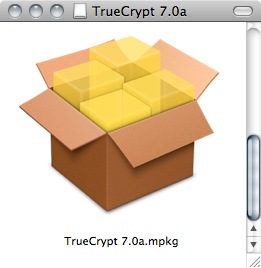 Now proceed to the chapter on Using TrueCrypt. 1. 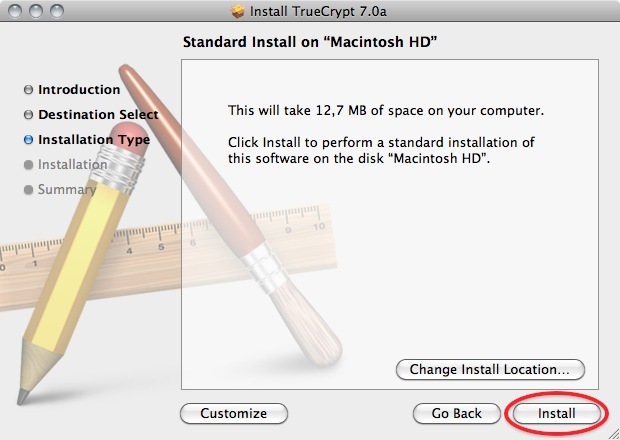 To install TrueCrypt on OSX first visit the download page (http://www.truecrypt.org/downloads) and press the download button under the OSX section. 2. Download this to your computer find the .dmg file and open it to acces the installation package. 3. Open the installation package, and click away through the dialogues. 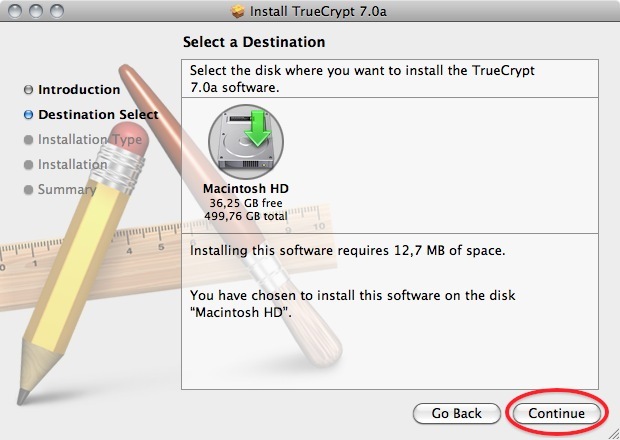 To install TrueCrypt on Windows first visit the download page (http://www.truecrypt.org/downloads) and press the download button under the Windows section. Download this to your computer and then double click on the file. You will see a license agreement. Click on 'I accept and agree to be bound by the license terms' and then click 'Accept'. When the installation is complete you will get a verification popup that it was successful. Close this window and click 'Finish' and all is done. Now proceed to the chapter on Using TrueCrypt.